Change is often scary and the use of robotics in health care is one big change. It has the capability to impact the world greatly: to bring medical services closer to people especially in regions where there is no health care program, to help people walk again and to lighten the workload of professionals. To reap the benefits of this technological advancement and avoid any possible dangers, we need to be informed about the upcoming innovations so that we can better prepare and adapt to the changes. This article has been written to inform you all you need to know about the use of robots in the medical field. These robots allow for surgical operations to be carried out with greater precision than when the surgeon is working lone. 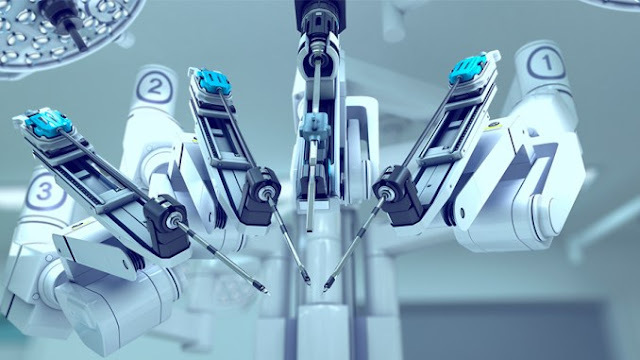 A remote surgery can be also done with the aid of a surgical robot where it allows a surgeon to operate without being physically present with the patient. The cobots provide great diagnostic abilities to do more accurate operation while providing a greater comfort for the patient. They allow medical practitioners to look around, move, communicate and participate even when they are in remote locations. Bio robots are designed and programmed to copy the cognitive ability of human beings and animals. They can be used to train dentists and surgeons using virtual environment which helps in improving the speed of the learning process. The bio robots are more flexible than the traditional robots and possess sensor abilities. This type of robots uses pulsed UV lights to disinfect a whole room in a short spun of time. They helped in the recent past during the Ebola virus outbreak by decreasing the work load and leading to a much friendlier and safer working environment. They also reduce significantly the number of hospital acquired infections. Rehabilitation robots are used for training and therapy of people with dysfunctional body parts to simulate movement. Cobots have been assisting health professionals with rehabilitation of bed-ridden patients by providing them with the best care to help them heal quickly. They also offer support to the lives of infirm and elderly people. These automated robotic systems are used in a retail pharmacy to dispense oral medication. They are also used in hospital to prepare sterile IV mixtures. The recovery time is estimated to reduce relatively when one has a robotic surgery. This can be attributed to the smaller incisions made on the patient as minimal are of the body is cut or removed during the operation. Postoperative pain or risk of infections is minimized with the use of robots during surgery. The operation is minimally invasive and results in patients feeling much less pain and recovering quickly. The robot is only an assistant during the operation with the surgeon having 100% control of any movements. Robots enable the surgeon to make more exact movements and provide a wide array of motions to choose from. Microbots are less than one millimeter in size and travel throughout the human bloodstream. They deliver drugs to specific areas or do an exploratory task of finding and destroying tumors, blood clots and infections that could not be easily identified in any other way. The use of robots in the medical field has been termed as the most useful application of robotic technology. Although the element of human touch is vital in the medical industry, some areas are better left to the machines and robots due to their unmatched precision and ability to work for long without fatigue.